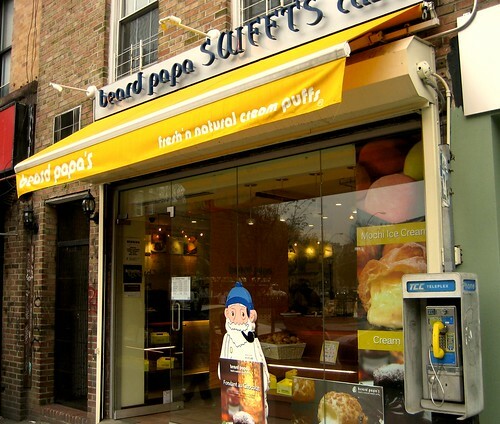 When I got word of a second “first in Canada, straight from Japan” restaurant opening up at Aberdeen food court that serves Japanese fusion pizza, I was hoping to find a fun and tasty venture of Beard Papa or Japadog caliber. Their online menu is absolutely gorgeous, and they seem to have done well for themselves back east judging from the byline. 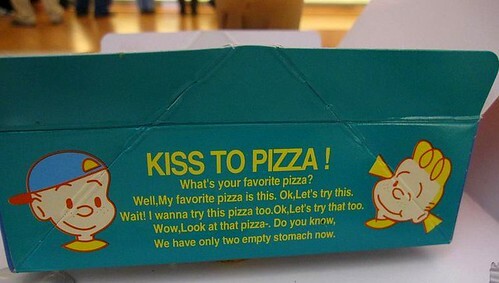 Kudos to their marketing team back in Japan. 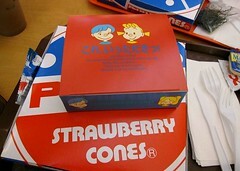 Though I too wondered what the name “Strawberry Cones” has to do with pizza. According to an interview with their spokesperson, strawberry=customers, cones=success. Well, its their name, and who am I to argue. Our lunch group of 4 arrived just after their opening, and after a few minutes of staring at their dancing mochi commercial on TV and careful consideration of how much room we should leave for chicken wings at Wo Fung, we ordered two of their small pizzas and a curry croquette. 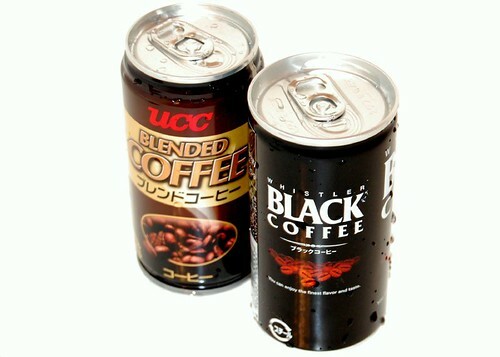 They were done after about 20 minutes and came in colorful packaging characteristic of Japanese products. The amount of witty Engrish banter on the box and the bright colors makes me wonder if their target market segment is young families with small kids or adolescent preteens with a hefty sized lunch money. Upon opening the box, we found the beautifully garnished pizzas in their ads were delivered to us naked. 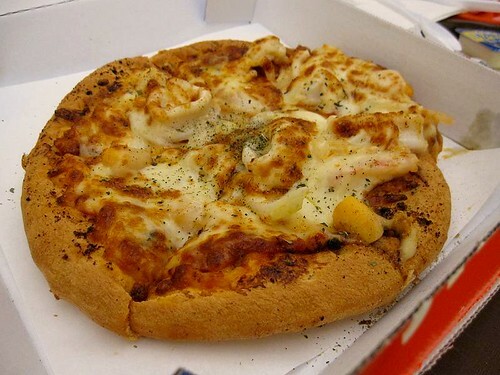 Herb seasoning, hot sauce, and seaweed for the Terimochi pizza came in separate packaging, possibly meant to add customizability for the diner as well as efficiency for the preparation process. The way the seaweed is packaged reminds me of a popular local herb. Here it is the small sized Terimochi after a sprinkle of seaweed. What looks like scallops standing on the crust is mochi, and the instead of pasta sauce, this one is brushed with teriyaki sauce. 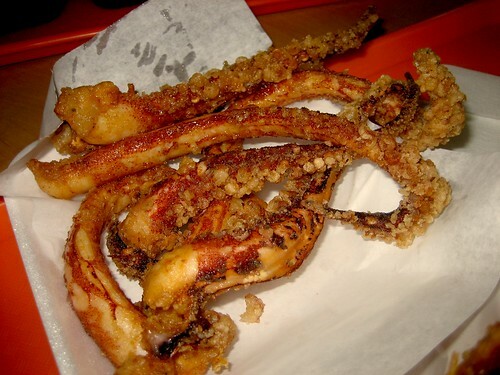 Here is the Ultimate Seafood Mix. I didn’t take a picture of the curry croquette because (I was told) they’re out of any type of sauces besides ketchup and mayo, leaving the croquettes looking like hashbrowns. 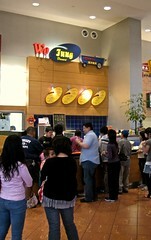 The staff looked highly inexperienced, so these pizzas probably don’t look like what the franchise intended. 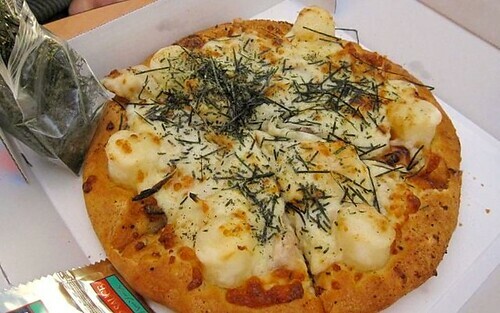 The taste of both pizzas were rather dull, as if something was missing, and personally I’d rather have cheese in the crust than mochi. As is, I don’t think the pizza can compare even to chained pizza establishments. For about $10 each the price is not right, but given that the prices for these back in Japan are actually higher, it almost seems like a good deal. Almost. I will give Cones another go in a few weeks(and that is my recommendation to others) when they’ve got their act together at this location (or possibly another if this pilot store goes well for them, like Beard Papa’s) before dismissing them as junk however. 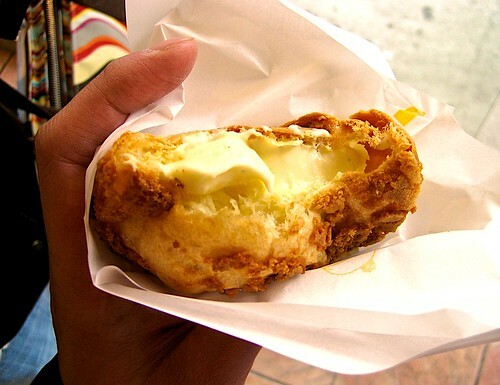 Need a break from the $2 shopping at Daiso? 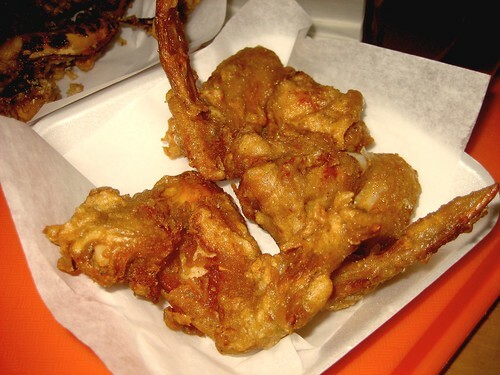 Craving HK Style food? 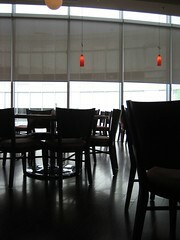 Go to 7th Heaven Cafe – located on the 2nd floor of Aberdeen Center in Richmond. 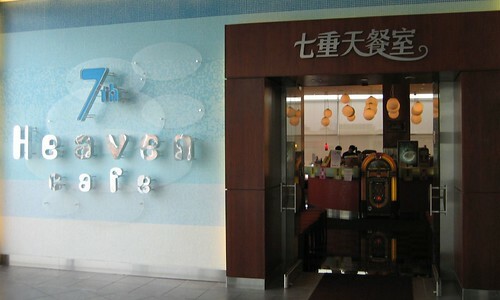 7th Heaven Cafe is one of the nicest HK Style Cafes in Vancouver. Like most parts of Aberdeen Center, 7th Heaven Cafe is drowning in bright natural light. 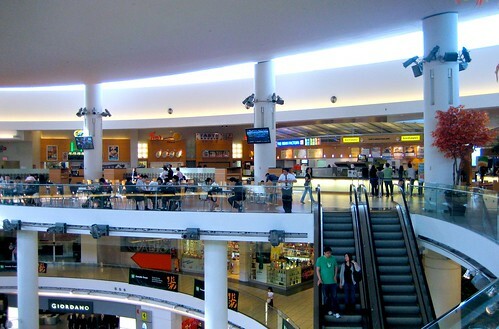 This is attributed to the mall’s glassy design. Thankfully, the prices are mostly consistent with other HK Style Cafes: low. For ~$7, I ordered the beef topped with black pepper sauce, sided with french fries and pasta, served on a sizzling hot plate. It’s an impressive dish. 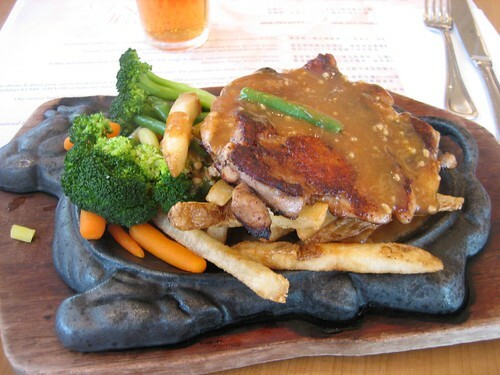 The waiter brings the scalding hot plate to your table and pours the sauce in front of you. This creates a plume of steam. Fun to watch. Fun to eat too. Everything tasted great. There are a lot of great food options in Aberdeen Center, and 7th Heaven Cafe is… one of them. 7th Heaven Cafe also plays host to ballroom dancing events during the night. If you’re into that, it might be worth checking out.